Are you having a hard time finding the best wooden puzzles for toddlers and kids? If so, you’ll be relieved to know that you’re in the right place. There are so many puzzles available for children online that finding the right one can be challenging. That’s why we’ve researched and reviewed what the top options have to offer. So, the hard part has been taken care of. All you need to do is have a read through the choices below and pick the one that you think is best for your child. A buying guide section is also available at the end to provide you with additional information. By the end of this review, you’ll be feeling great about the puzzle that you pick! 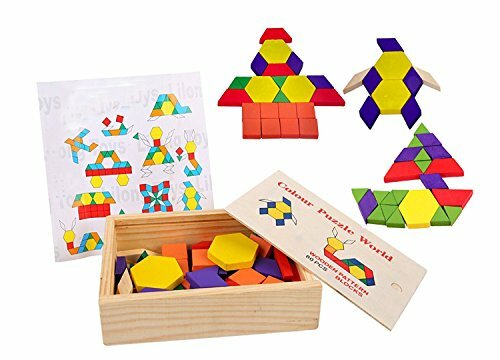 This 4-in-1 Wooden Educational Shape Color Sorting Puzzle by Joyin provides kids with a lot of parts to play with in one set. We liked how they’ve implemented a range of difficulty levels which include easy, medium, and hard. As a result, kids are always able to challenge themselves. The main benefits that kids experience while playing with this set is that their color and shape recognition skills are improved. Furthermore, their ability to count and sort things is developed too. Not to mention, children are given the chance to work on their hand-eye coordination and motor skills as well! The different difficulty levels that are available with this set are great for keeping kids on their toes and continuously learning. 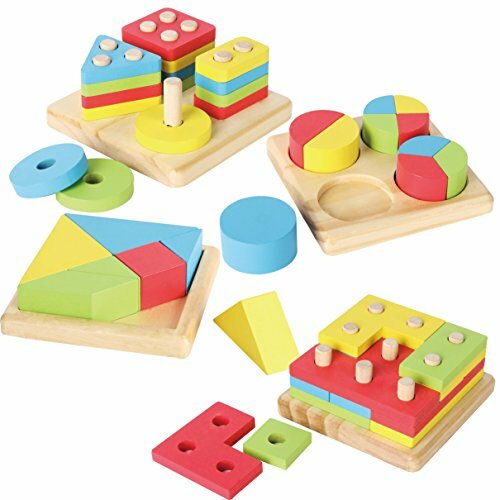 The Rolimate Wooden Educational Chunky Puzzle Toy includes pieces that are the perfect size for your little one’s hands. As a result, they’re able to develop their hand-eye coordination and motor skills better. Moreover, their sorting skills are given the chance to develop as well. Kids are able to use the various pieces that are available to learn more about different colors and shapes. This is awesome for boosting their knowledge on color and shape recognition. Furthermore, their ability to count is also improved too. The finish that has been used on the pieces in this set are free from toxins, which ensures that your kids are safe while playing with it. They are also made out of high-quality materials to provide kids with years of play. Kids have a blast using this set to play for hours on end and develop their motor skills and coordination, as well as their color and shape recognition abilities. 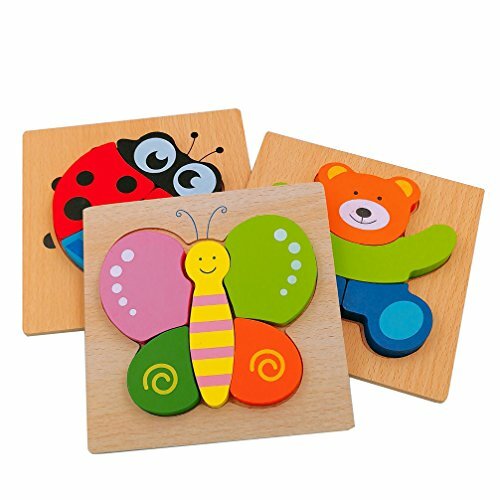 This Wooden Preschool Colorful Shape Puzzle is free from any toxins and has been designed with a rounded edged design. Therefore, you can be sure that it’s safe for your kids to play with for hours. The set comes with a board, and 9 wooden toys that are available in a range of different colors and shapes. Therefore, it’s an effective set for improving your child’s color and shape recognition skills. While kids are playing with this set, they’re provided with a fantastic opportunity to develop their hand-eye coordination and motor skills. This is because the puzzle involves such a hands-on approach to playing. This set enables kids to play for hours on end and develop their coordination, motor skills, and knowledge on colors and shapes – all while being completely safe. The DreamsEden Wooden Jigsaw Puzzles for Toddlers set comes with a range of 3 different packs. These helps kids to learn more about different insects and animals. We also liked how the colorful design encourages kids to play with the pieces. As a result, their hand-eye coordination and motor skills are able to develop well. This is especially the case since the pieces have been constructed to be the perfect size for toddler’s hands. This brightly colored design is also an effective way to improve your child’s color recognition skills. Not to mention, all of the wooden material used to construct the pieces are free from toxins and have smooth edges. So, you can feel confident in knowing that your kids will be safe. Children love playing with this colorful set and being able to learn about different animals and insects, while also improving their motor skills and coordination. 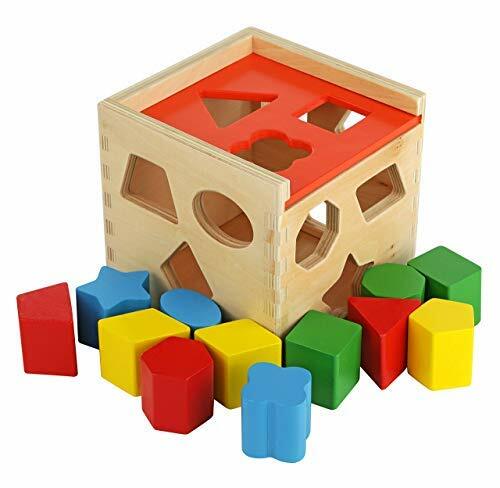 This Colorful Shape Cube Sorting Puzzle features pieces that have been made using high-quality materials, which ensures that they’ll remain durable and be safe for kids to play with. 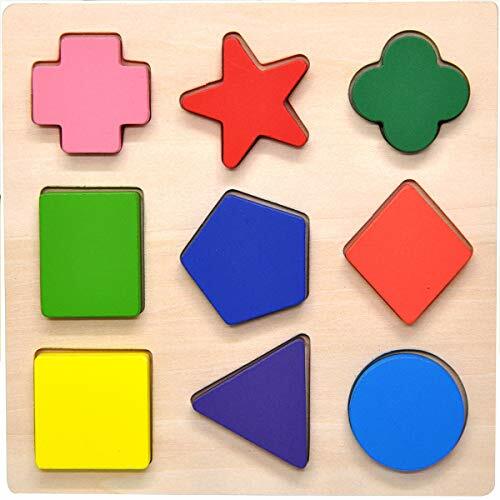 There is a total of 12 shapes which are available in different colors. Therefore, you can be sure that your child’s color and shape recognition skills will be improved greatly. This is also an effective way to encourage children to play with more imagination and boost their creative thinking skills. Furthermore, children are given the opportunity to develop their problem-solving skills while trying to figure out the puzzles. This is an awesome puzzle set that enables children to develop their motor skills and coordination, while also improving their problem-solving abilities. Melissa & Doug’s Classic Wooden Peg Puzzles set comes with 3 packs which are include brightly colored pieces. Therefore, kids are able to improve their color recognition skills. We were also impressed with how there are pieces that have letters and numbers on them. 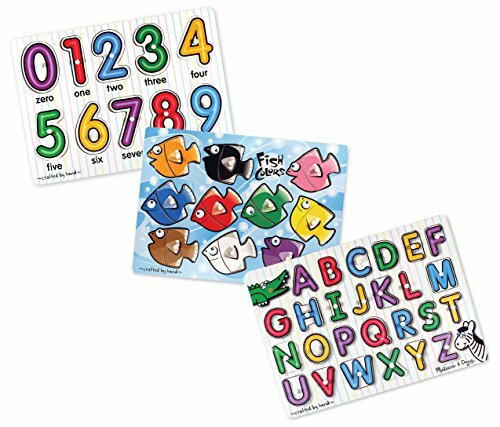 These are a great way to help kids to broaden their knowledge on letters and numbers. While kids are playing with the various pieces that are available in this set, they’re able to develop their hand-eye coordination and motor skills. Furthermore, their problem-solving abilities are stimulated too, since they’re trying to solve the puzzles. The materials used to construct the piece in this set are of a high-quality. Therefore, you can feel confident in knowing that they’ll last your child for years of play. 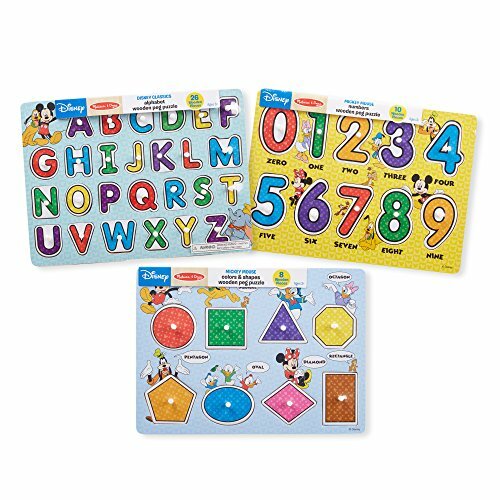 This is a highly educational set that allows kids to learn more about colors and letters, while also developing their motor skills and hand-eye coordination. Melissa & Doug’s Disney Classics Alphabet Wooden Peg Puzzle features Disney characters, such as Alice, Winnie the Pooh, and more. This make it super exciting for kids to play with as they love these characters. We liked how they’ve used high-quality wooden materials to construct this set as it allows kids to play with it for years to come. These materials are also durable and made to be the perfect shape for little kids to hold onto easily. While playing with the set, children are given the opportunity to develop their motor skills and hand-eye coordination. Moreover, they feel encouraged to play in more imaginative ways, which is awesome for their creative thinking skills. The character themes available with this set encourage children to play with more creativity. It’s also great for improving your child’s motor skills and coordination. The Melissa & Doug Shape Sorting Cube Classic Wooden Toy comes with a total of 12 shapes which have been designed with an easy-grip feature. Therefore, kids are able to hold onto them and play with ease. This is great for helping them to improve their hand-eye coordination and motor skills. 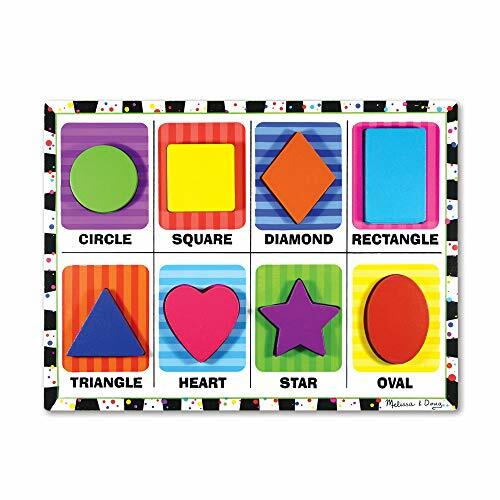 These shapes are also available in different colors, which enables kids to develop their color recognition skills. The construction of this one is also fantastic as they use high-quality wooden materials. Therefore, you can be sure that they’ll last your child for years of play. Moreover, children are given the opportunity to work on their problem-solving abilities. This is a result of them trying to fit certain shapes into the matching holes. We also found this to be effective at boosting their knowledge on different shapes. Kids have a blast playing with this colorful set and improving their problem-solving abilities, as well as their motor skills and coordination. 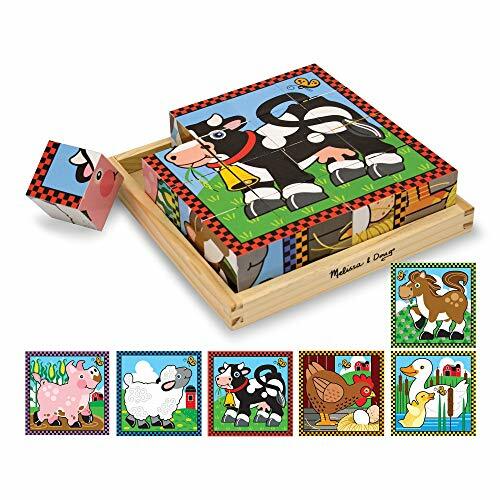 Melissa & Doug’s Farm Cube Puzzle features 6 puzzles in 1 set. Therefore, kids have plenty to play with and be entertained for hours. There are 16 cubes available which have been designed with farm animals. Therefore, it’s an effective way to teach kids more about different animals. We liked how they’ve used high grade wooden materials to construct this set as they’re durable and safe for kids to play with. They are also easy for kids to hold onto and play with. As a result, this set is effective at helping kids to develop their hand-eye coordination and motor skills. Not to mention, their problem-solving abilities are also able to improve while they try to figure out the puzzles. This set provides kids with a fun way to learn about different animals, while also developing their hand-eye coordination and motor skills. The SainSmart Jr. Wooden Tetris Puzzle features a wide range of 40 pieces which are available in various colors. These different colors are awesome for your child’s color recognition skills. Moreover, the 40 pieces included will keep them entertained for hours! We also liked how this set is effective at encouraging children to develop their hand-eye coordination and motor skills. This is because of the hands-on approach to playing. Furthermore, children are given the chance to improve their ability to think creatively. Due to the puzzle feature that’s available, you can also be sure that your child’s problem-solving abilities will be developed as well. The pieces in this set have been made from high-quality materials that are free from toxins to ensure your child’s safety. We liked how this set encourages children to play with more imagination, while also developing their coordination and motor skills. 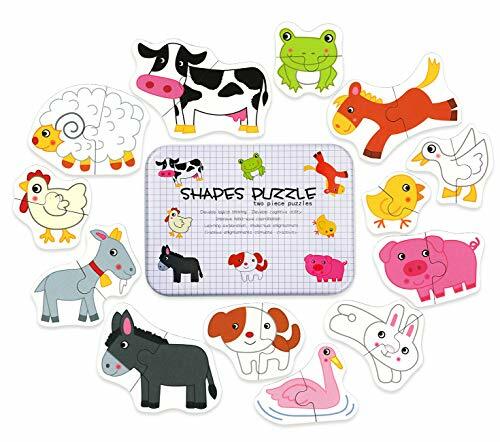 The BeginAgain Farm A to Z Puzzle set enables kids to play with the play set, or try and complete the puzzle. The play set is awesome for helping kids to think with more imagination and improve their creative thinking skills. Whereas, the puzzles are great for improving your child’s problem-solving abilities. We also liked how children are given the opportunity to develop their hand-eye coordination and motor skills while playing with the pieces available in this set. Furthermore, the alphabet that’s available on the various pieces is highly effective at helping your children to improve their knowledge on different letters. The materials used to construct this set are high-quality wood, which ensures that your kids can play with it for years to come. This set is excellent for encouraging children to improve their creative thinking skills, as well as their coordination and motor skills. This Puzzled Kids Playschool set is a fantastic way to teach kids about different insects and the alphabet. The raised puzzle feature ensures that kids are able to have a lot of fun, which encourages them to want to continue learning. While kids are holding the various pieces available in this set, their hand-eye coordination and motor skills are able to develop well. This is a result of the hands-on approach to playing that this set promotes. The wooden materials that have been used to construct this set are of a high grade. Therefore, you have the reassurance in knowing that it will last your child for years of play. Kids have a blast playing with this set for hours and improving their knowledge on different insects and letters. 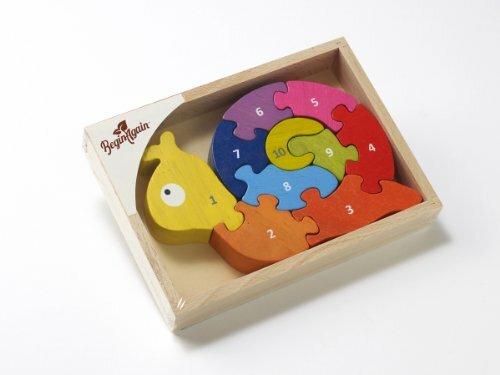 The BeginAgain Number Snail Puzzle comes with a total of 10 puzzle pieces which are available in different colors. They also have numbers on them. Therefore, they are effective at helping kids to improve their color recognition skills, while also learning more about different numbers. Furthermore, as kids are holding the various puzzle pieces and playing, they’re able to develop their motor skills and hand-eye coordination. The puzzle feature that’s available also provides kids with an excellent opportunity to improve their problem-solving abilities. Children also feel encouraged to play with more imagination, which is fantastic for their creative thinking skills. The high-quality wooden materials that are available with this set ensure that children are able to play with it for years to come. The pieces are also safe for kids to play with. Children have a blast playing with this set and developing their knowledge on different colors and letters. This Hape Chunky Alphabet Wooden Puzzle Game provides kids with a means to learn more about the alphabet, while also having fun. Therefore, they feel more encouraged to continue to learn and play. The individual pieces that are available in this set have been made to be the perfect size for little hands. Therefore, you can feel confident in knowing that your kids will be able to hold the pieces and play comfortably. As a result, their hand-eye coordination and motor skills are given the opportunity to develop well. Not to mention, their problem-solving abilities are able to improve as well. This is because the game involves trying to figure out where the correct letters go on the board. This is an awesome set for helping kids to learn more about different letters, while also improving their problem-solving abilities and having a ton of fun. 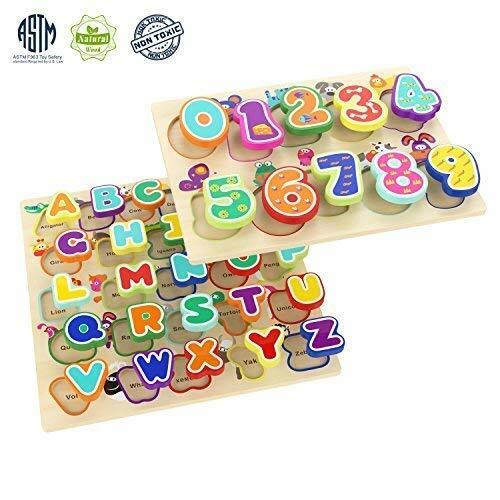 This Wooden Puzzles Alphabet Educational Toy provides kids with a fantastic way to learn more about letters and numbers. 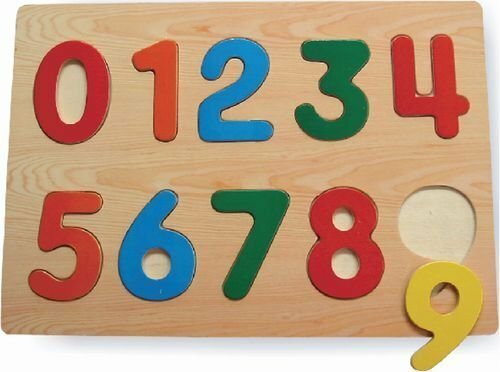 The more they play with this set, the better they’ll be able to recognize the difference between the various letters and numbers. We also liked how they’ve designed the set with animals as well. This enables kids to learn about different animals, which they have a blast doing. In addition to this kids are also able to work on their counting abilities. The wooden construction of these pieces are excellent. They are thick and have been made to be the perfect size for smaller hands. Therefore, younger kids are able to hold onto the pieces and play with ease. This is a highly educational set that helps kids to learn more about animals, letters, and numbers, while also being able to count better. The Vileafy Puzzle Toys is a fantastic set for toddlers as it enables them to have a lot of fun and play with plenty of creativity. We liked how it’s effective at teaching kids about different animals too. Moreover, while they’re handling the various pieces that are available, children are given the chance to develop their motor skills and hand-eye coordination. Not to mention, their problem-solving abilities are able to improve greatly as they try to figure out the puzzles. The wooden materials used to construct this set are of a high standard. Therefore, you can feel confident in knowing that it will last your child for years of play. They also have a brightly colored design, which is more exciting for kids and improves their color recognition skills. This is an excellent set that allows kids to develop their problem-solving abilities, as well as their color recognition skills. 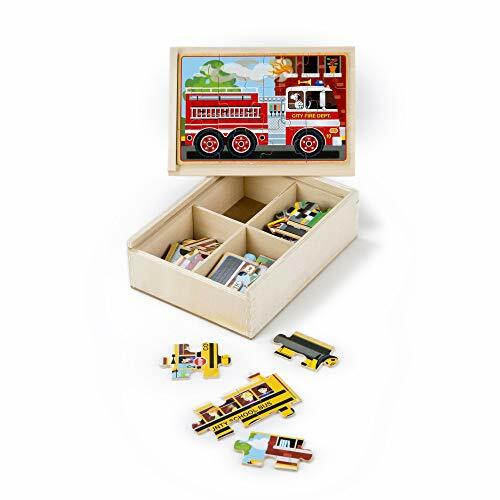 This wood magnetic set comes with a total of 5 sets in 1 which includes a range of 151 pieces. Therefore, kids are provided with plenty of things to play with for hours on end. There are also a range of different colors and shapes available with this set. As a result, children are given the opportunity to develop their color and shape recognition skills. Furthermore, there are various letters available on the pieces which helps children to improve their knowledge on letters. The magnetic board feature that’s available is fantastic fun for kids and they have a blast playing with it for hours on end. Moreover, while they’re playing with the various pieces, their motor skills and hand-eye coordination are able to improve greatly. We liked how this set features such a wide range of pieces as it enables kids to play creatively and for hours on end. Their color and shape recognition skills are also given the chance to improve. The Lewo Wooden Blocks Montessori Tangram Puzzle Toy comes with a total of 60 pieces, which provides kids with plenty of parts to play with and be entertained for hours. We liked how these pieces are available in different colors as it allows kids to develop their color recognition skills. Not to mention, they’re also been designed with various bugs and animals, which is highly educational for kids. Children also like to use the pieces to count, which develops their basic math skills. Furthermore, handling these pieces and playing with them continuously is an excellent way to kids to develop their motor skills and hand-eye coordination. Children have a blast playing with this set and improving their knowledge on different animals and bugs. Their ability to count and recognize different colors is also improved. Melissa & Doug’s Vehicles Jigsaw Puzzles in a Box set features a range of 4 vehicles-themed puzzled. In total, there are 12 pieces which includes a school bus, steam engine, race car, fire engine, and more. So, kids have plenty to play with and be entertained for hours. The puzzles available with this set help kids to develop their problem-solving abilities while they try to figure them out correctly. Furthermore, handling the various pieces is a great way to improve their hand-eye coordination and motor skills. We liked how they’ve used high-quality wooden materials to construct this set. It provides it with a great sense of durability, which means you can be sure that it will last your child for years to come. This is an awesome set that helps kids to improve their problem-solving abilities, as well as their hand-eye coordination and motor skills. 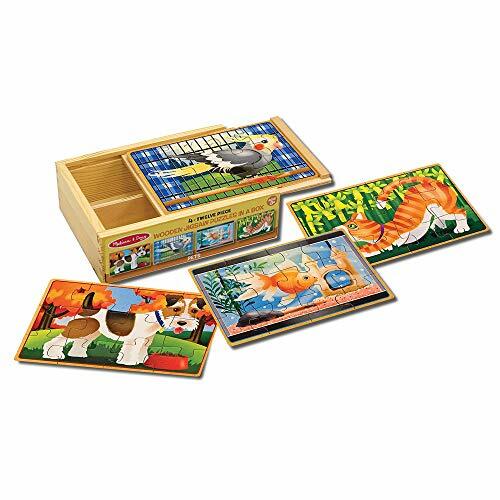 The Melissa & Doug Pets Jigsaw Puzzles in a Box is an excellent idea that helps kids to learn more about different animals. It features a bird, dog, cat, and a fish. In total, there are 12 pieces, which keeps kids engaged for a long time. Playing with this set and trying to figure out the puzzles is excellent for your child’s problem-solving abilities. We also liked how it helps children to develop their hand-eye coordination and motor skills. The wooden materials to construct this set are of a high standard, which provides you with the reassurance that they’ll last your child for a while. The box that’s available also make it super easy to store all of the pieces. Kids have a lot of fun using this set to learn about different animals, while also developing their motor skills and hand-eye coordination. 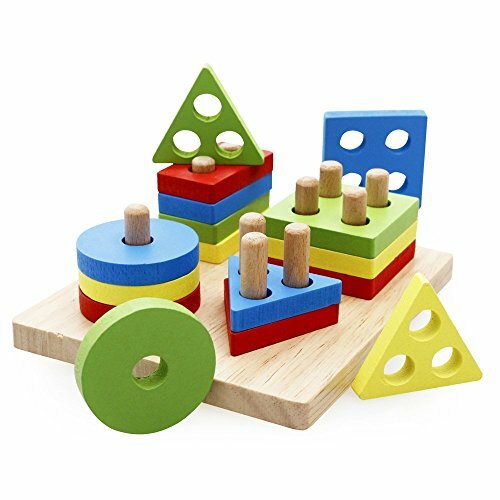 The Melissa & Doug Shapes Wooden Chunky Puzzle set comes with a range of 8 pieces that are available with different patterns, shapes, and colors. As a result, children are able to improve their color, shape, and pattern recognition skills. The wooden pieces have been designed with a chunky feature to ensure that they’re easier to younger kids to hold onto. Therefore, kids are given a better opportunity to develop their motor skills and hand-eye coordination. There are also pictures available underneath the pieces which make it more exciting for kids to play with. This is a fun set that helps kids to improve their shape, pattern, and color recognition skills, while having a lot of fun. Now that you’ve read through our review of the best puzzle games that are currently available, you can start to focus your search on the ones that you think your child would like the most. If you still aren’t feeling 100% confident on which one to choose, you’ll want to check out this buying guide section. There’s additional information on the different types of puzzles, the best types for the various age ranges, and the top brands. After reading through our review, you will have seen that there are quite a few different types of toddler puzzles available. To learn more about these different kinds of children’s puzzles and what makes them different from one another, take a look below. Jigsaws are an incredibly popular puzzle for kids due to the problem-solving aspect and how much fun they have playing with them. Trying to figure out how to complete the puzzle is super engaging and exciting for kids. Peg puzzles, similarly to jigsaws, are another very popular option because children have so much fun playing with them. They’re also able to develop their problem-solving abilities, as well as their hand-eye coordination and motor skills while handling the pieces and getting them to fit. Alphabet puzzles provide kids with a fun way to learn more about different letters. When the alphabet is put into a game settings, children feel more encouraged to continue to learn more because it’s exciting. A lot of puzzle set implement numbers on their pieces as it provides kids with a great opportunity to learn more about numbers. Their counting abilities and basic match skills are able to develop well with these sets. Name puzzles are a fun way for kids to learn how to spell their own names. They’re also effective at helping kids to learn the differences between various letters. Kids love playing with wood block puzzles as they allow kids to stack the pieces and play with a lot of imagination. As a result, their creative thinking skills are developed well from an early age. There are personalized puzzles available which come in different forms. One of the most popular ones involves sending in a photo and having the company create a jigsaw puzzle. This can make for a fun and meaningful toy for kids to figure out and play with. 3D puzzles are recommended for older kids as they are more complex. They challenge kids to work on their problem-solving skills while they try and figure out how to complete the puzzles. Wood cube puzzle are great fun for kids as they enable them to play with more imagination and boost their creative thinking skills. A lot of them involve stacking the various cubes in a specific order to achieve some kind of pattern that could involve colors, numbers, or images. Brain Teaser wooden puzzles are excellent choices if you’re looking for something that tests your child cognitively. The more that kids play with these kinds of toys, the better their problem-solving abilities will be able to develop. There are numerous animal-themed sets included in this review as they’re a lot of fun for kids to play with. They’re also effective at encouraging children to learn more about different animals. The wooden puzzles that feature a United States theme are excellent for helping kids to learn more about their country. However, they do so in a way that’s still fun and encourages children to play with creativity. Throughout this review, we’ve made sure to include puzzles from a number of top brands. If you were interested to learn a little more about these brands, you’ll want to take a quick look below. Melissa & Doug are a well-known brand that has been manufacturing toys for years and you can’t go with with the quality the produce. Their toys are awesome for helping kids to play with a lot of imagination and develop their creative thinking skills. SainSmart Jr. is a fantastic company that makes toys for kids that inspire them to think and play with a lot of imagination. Their toys also focus on helping children to think more critically to ensure that they’re able to learn more, while having fun. If you wanted to gauge a better idea of the various puzzles in this review according to a specific age range, take a quick look at the section below. The Rolimate Wooden Educational Chunky Puzzle is an awesome toy for 1 year old boys or even girls. Finding toys that are a good size for your little one’s hands is crucial for this age range. It enables them to play with the pieces easier. 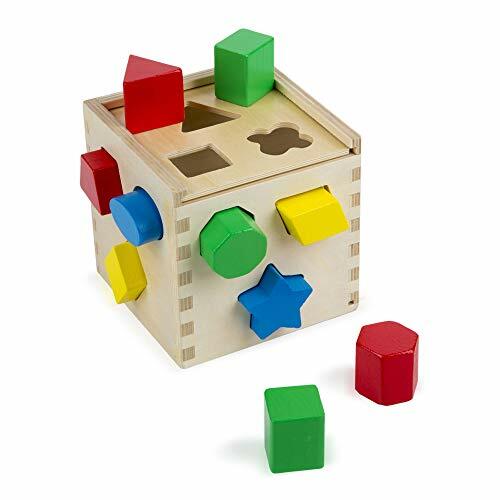 Melissa & Doug’s Shape Sorting Cube Classic Wooden Toy is an excellent option for 2 year olds. Toys that encourage kids to start developing their hand-eye coordination and motor skills are great fort this age range. The GYBBER&MUMU Wooden Preschool Colorful Shape Puzzle is one of the top options for 3 year olds. Not only does it develop children’s motor skills and coordination, it also improves their color and shape recognition skills. Kids at this age are starting to be able to take in more information, so a set that involves multiple learning features is best. Melissa & Doug’s Classic Wooden Peg Puzzles is a fantastic game for 4 year olds because it helps them to improve their problem-solving abilities. Moreover, their number and letter knowledge is able to develop too. When you’re trying to find puzzles for 4 year olds, we recommend something that has a more educational value and is more challenging to help them develop. The Lewo Wooden Pattern Blocks Montessori Tangram Puzzle Toy is great for 5 year olds. This is due to the fact that it comes with so many pieces. At 5 years old, kids are looking for things that can keep them engaged for longer, and a set like this does exactly that. 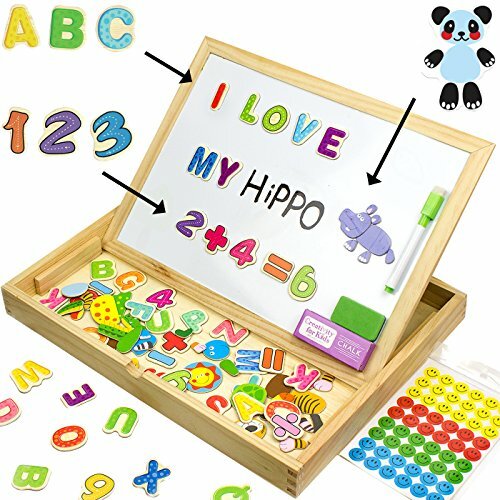 The Educational Toy XL Wood Magnetic Set is an excellent choice for 6 year olds because it comes with over 150 pieces. Therefore, you can be sure that your 6 year old will be entertained playing with this one for hours. They’re at the age where they need toys that allow them to play with multiple things to challenge themselves more. 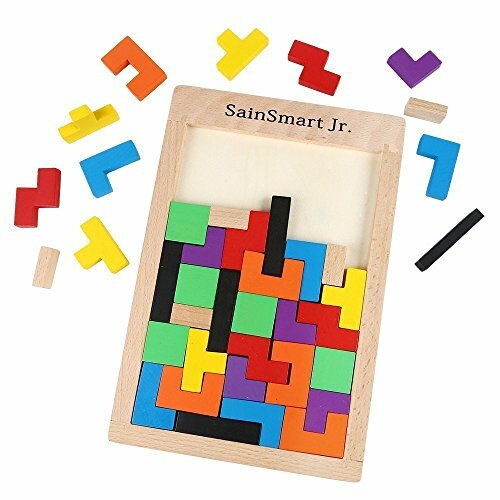 SainSmart Jr.’s Wooden Tetris Puzzle is an awesome choice for 7 year olds as they have to put their problem-solving abilities to the test. Kids at this age require something that enables them to think more deeply and get more creative. 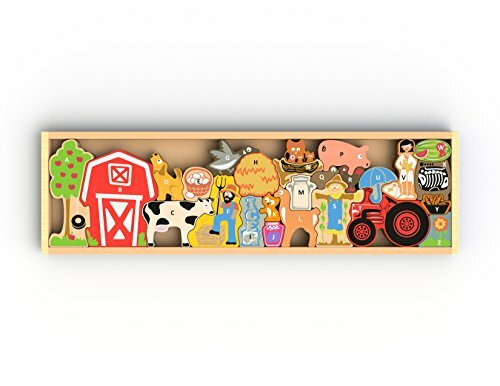 The BeginAgain – Farm A to Z Puzzle and Playset teaches children more about the alphabet while also encouraging them to play with more imagination. 8 year olds are often respond best to sets that help them to think more creatively as they’re more fun and engaging to play with. 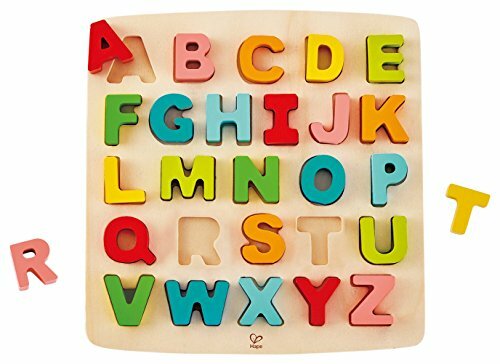 9 year olds have a blast with the Wooden Puzzles Alphabet Educational Toy set. It gives them the opportunity to learn more about different animals, letters, while also helping them to count better. Puzzles for 9 year olds are often geared towards providing them with puzzles that are more educational. This is because kids at this age tend to find them more interesting and are keen to expand their learning abilities. So, that concludes our review on the top wooden puzzles for toddlers and kids that are currently available. Be sure to consider all of the main features, pros, cons, and what makes each of the options stand out. That’s what will leave you with the best idea of which one you think your child would enjoy playing with the most. The buying guide section also provide you with more information to help you feel more confident about your choice. Everything you need to find that perfect puzzle for your child can be found in this review!